An analysis of the Sherman as a weapon system from a strategic and doctrinal level supported by excellent research and a huge collection of photos. Highly recommended to Armour and historical enthusiasts as well as armchair generals. 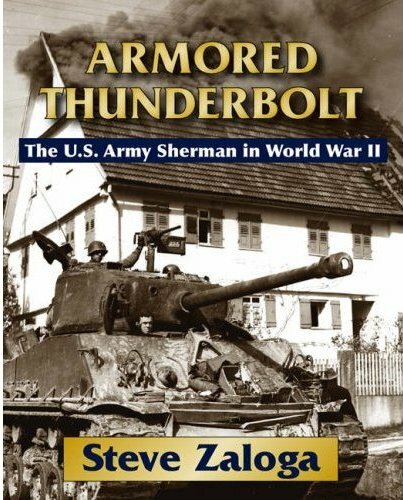 Steve Zaloga is known to many modellers and history buffs as a prolific writer of serious studies of Armoured warfare, US and Russian Armour, as well as superb modelling books on mainly WW2 US Armour. He has written many Osprey titles on the same subjects and is a regular contributor to Military Modelling of superb modelling articles packed with useful historical background. Following on from his latest osprey title in the Duel Series: Panther vs Sherman, this is a title and a subject Steve is eminently qualified to write upon. This book is not a typical book on an armoured vehicle and whilst it discusses technical points it is focussed on the Sherman Tank as a weapons System and how it fitted into the Allied Military machine. It is thoroughly researched and examines how the Sherman came about, how it fitted into the US Army doctrine and how it was employed. It is not a book for the modeller to find out the differences between Sherman variants but more for the Historian who wants to understand how the Sherman evolved, why it evolved and what impact it had on the face of Armoured warfare in WW2 and beyond. It examines the strengths and weaknesses and how these were overcome throughout the Sherman’s long career. The politics, personalities and doctrine that shape US armoured forces in WW2 and beyond are examined in detail. 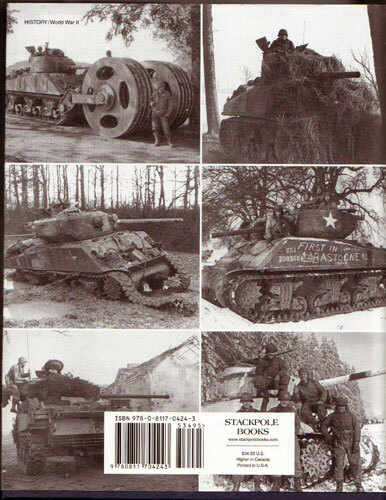 The book is 360 pages well supported with high quality black and white images not just of Shermans but associated US vehicles and the predecessors of the Sherman. The book covers a lot and is written in an easy to follow narrative presented in Steve’s usual logical sequence all well supported by an excellent bibliography and clear photos. The great thing about this book does is that it takes oft repeated myths and lays them firmly to rest. In the introduction the author asks the question, was the Sherman a death trap or a war winner. By the end of the book you will have a thorough understanding of how the Sherman came about, the factors that influenced it, its development, use and the way the US and Allies fought their armoured battles. You will also have all the facts to come to your own conclusion however the Author has presented this for you also. Whether you are a fan or a detractor of the Sherman this is essential reading for the student of armoured warfare and the armchair generals amongst us. I feel this will be one of those essential titles in the library of the aforementioned and is a landmark tome and ranks alongside the now legendary title Hunnicutts Sherman. In fact I feel this is the perfect complement to it and should be compulsory reading for all Shermaholics. I cannot recommend this title enough for its insight, breadth of coverage and excellent collection of photos. I could not put the book down once I started reading it. Even at twice its jacket price it is a remarkable bargain.